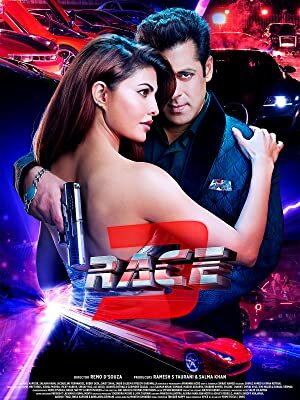 Race 3 is the grand saga of a family that deals in borderline crime but is ruthless and vindictive. Characters change their characteristics at the blink of an eye as the story rushes towards a high octane climax with betrayal, fast guns, fast cars and sleek action never seen before on the Indian screen. Action and drama that leads to a shocking twist in the climax that takes your breath away.